BeyondRepair. 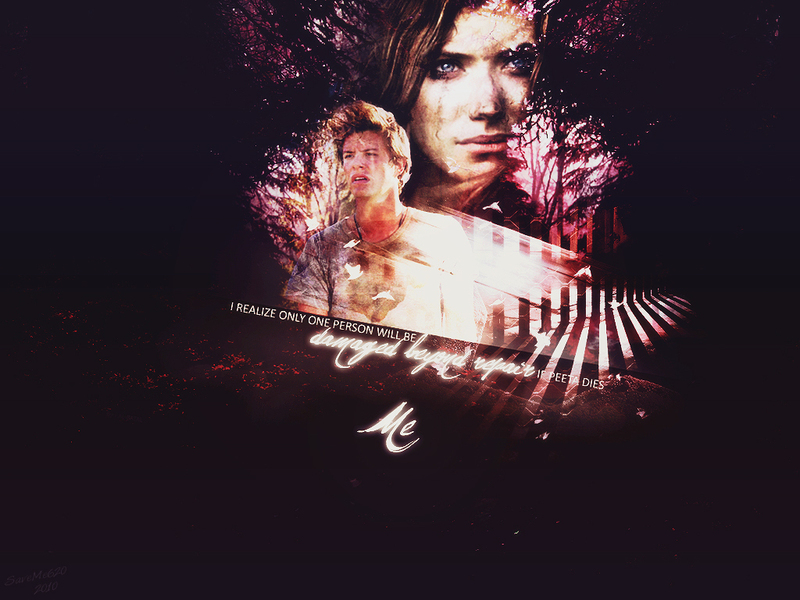 I used Imogen Poots as Katniss and Xavier Samuel as Peeta.. HD Wallpaper and background images in the Hunger Games club tagged: wallpaper hunger games. This Hunger Games wallpaper might contain gazeti, karatasi, magazine, tabloid, rag, jarida, tabloidi, limemalizwa, anime, comic kitabu, manga, cartoon, and mkono. I don't find that age really matters. I tried to choose people who could still possibly pass as teens. Hell, they have people in their late 20s-early 30s in Vampire Diaries playing high school students. It's rare that movies actually have a cast that is actual age of the character. They always use actors older than the character mainly because they're more experienced than tween actors and know how to bring the essence of a character to life. Plus there's always the magic of makeup that makes an actor look younger than they truly are. If you actually watch movies you'd know this instead of making an idiot of yourself by ranting.